Lane's Lacquers: MoYou Nails Review! 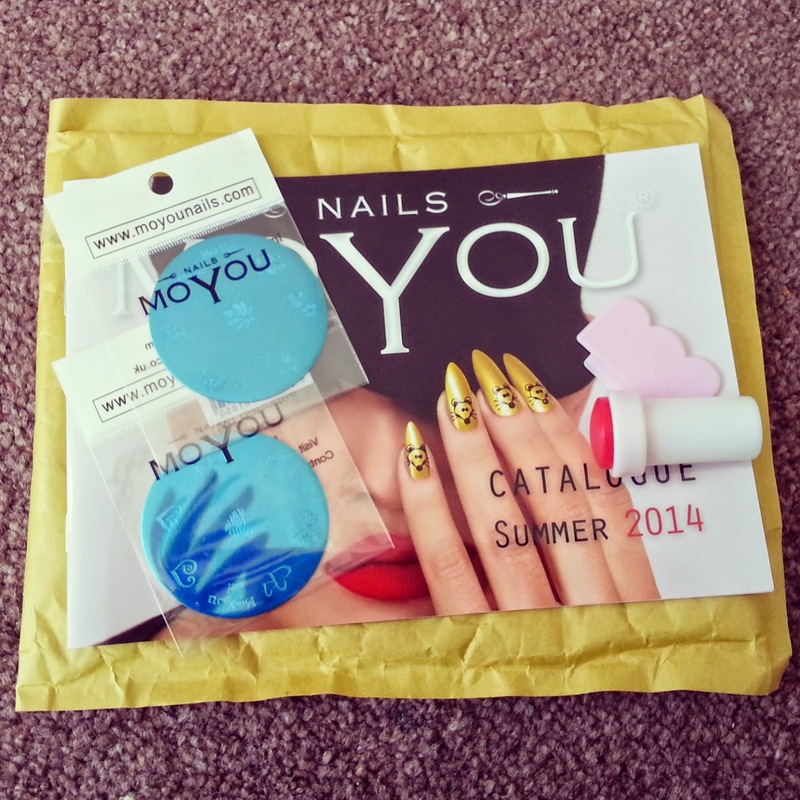 I was recently sent a lovely little package from MoYou Nails and tonight I bring you my review! Within the package was a stamper, scraper, silver stamping polish (which kept rolling out of shot haha), two image plates (105 & 107) and the summer catalogue... More temptation LOL! For this look I used Image Plate 105 which has a combination of pretty hearts and bows. 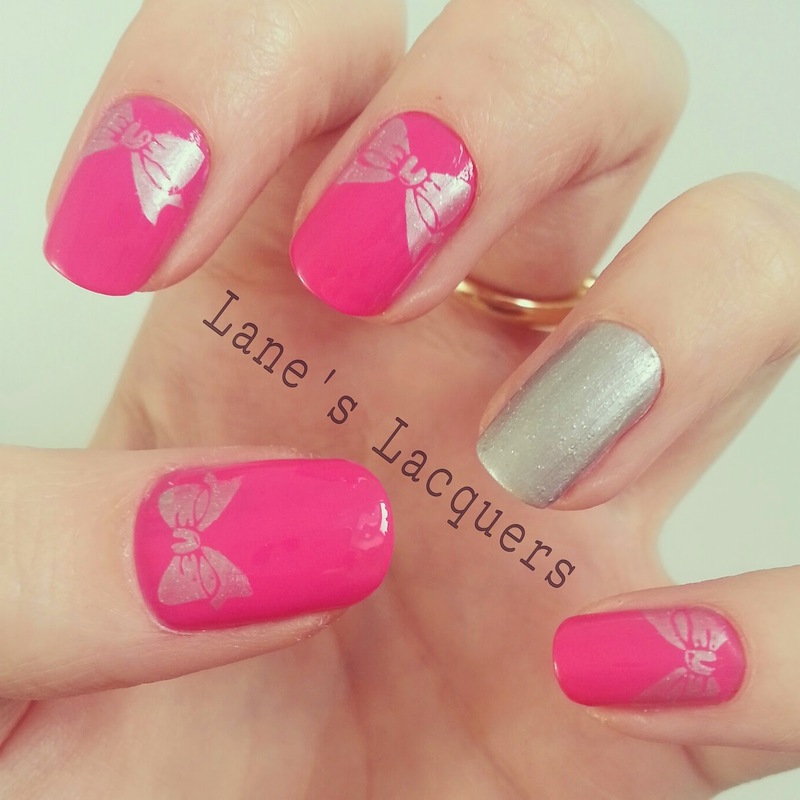 I chose to add the bows to this hot pink mani (two coats), using the silver stamping polish to both stamp and paint the accent nail! Finished up with a topcoat. 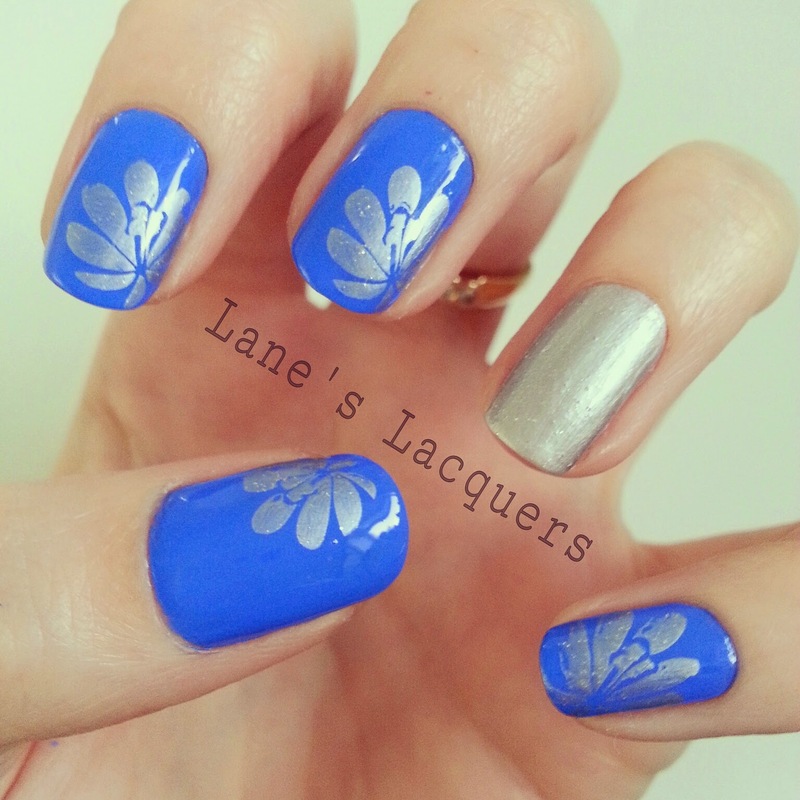 For this next look I used Image Plate 107, a combination of lovely florals and butterflies. 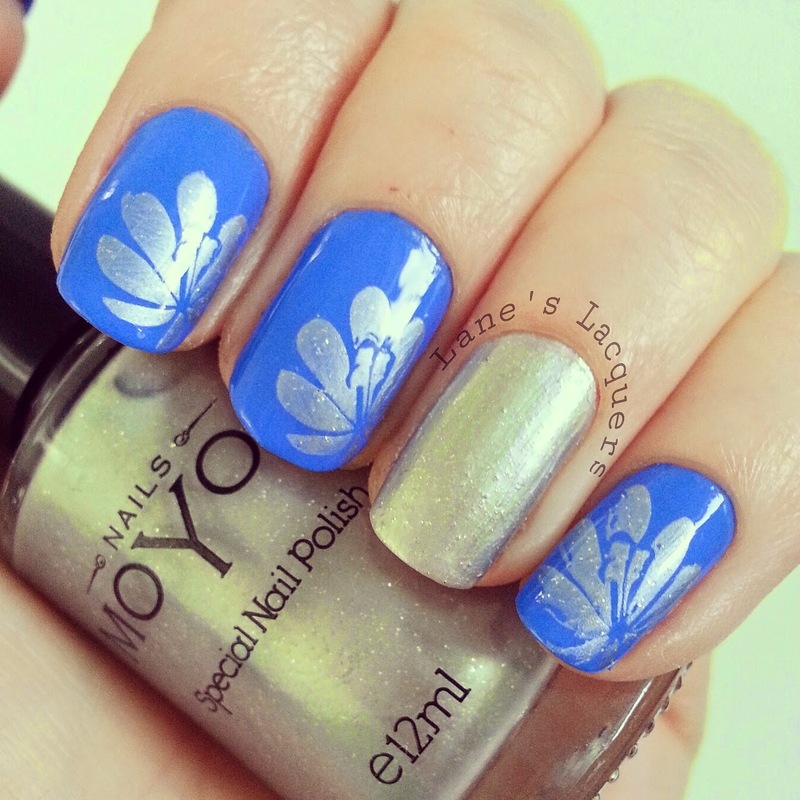 I went for a large floral image to pair up with this lush blue manicure (two coats) and again used the silver stamping polish to both stamp and paint the accent nail. Once finished I topcoated to seal. 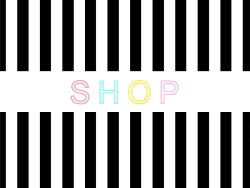 As well as small plates and accessories, MoYou also produce some amazing Salon Pro large image plates and Stamping Sets, which are fab for gifting to any nail art lover!! 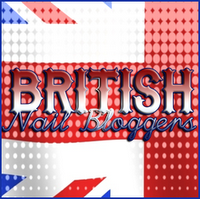 They are currently offering free delivery on orders over £35 and are sending a free set of nail wraps with every order!